This op-ed and the editorial that inspired it both appeared in the Cincinnati Enquirer in Dec. 2014. Dusty Rhodes, a Delhi Township Democrat, is the Hamilton County auditor. Disguised as a plea for “regional cooperation,” “collaboration” and “working together” it’s the same old story. 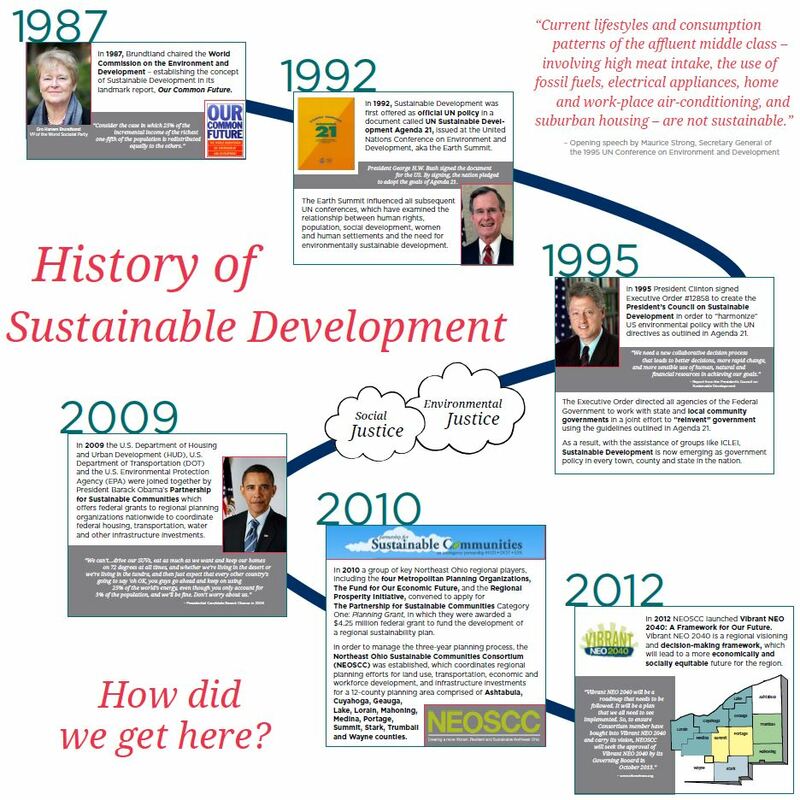 Numerous attempts over the years to foist a new world order on our county, cities, villages and townships have failed. A rational person might assume that “nothing ever changes” because (a) people don’t want it and (b) we don’t need it. Contrary to the false alarms, local government structure here is not in crisis. Changing it seems to be the fervent dream of a small group of self-appointed and unelected activists. Their latest propaganda campaign calls us “dysfunctional.” Says who? Our area is equal to and often ahead of most in economic terms as well as the more subjective quality of life indicators, including higher education, cultural opportunities and availability of quality medical care. In spite of extreme reductions in historic and promised state support our local communities, our county continue to “function” quite well, thank you. The only possible “dysfunction” may appear when we are compared to corporations in the private sector. Such comparisons fail to recognize the differences between the corporate world and a democratic government. Yet even in the private sector, large conglomerates were found to be less than efficient. If efficiency is the prime goal, the ultimate solution is a dictatorship. Strangely missing from possible “benchmarks” to fairly evaluate the differences between our area and the larger, more remote metropolitan governments is detail on local spending, taxes, government employees and voter participation. They tell us their big ideas will save money but never say how. For example, the latest study claims – with no documentation – that Cuyahoga and Summit counties “saved money” by switching to a “county executive” form of government. We are supposed to be dazzled by the claim that Louisville merged with Jefferson County and “moved from 65th largest city in the country to 16th.” But the measure that matters is the U.S. Census Bureau’s list of Metropolitan Statistical Areas. Our area is 28th and Louisville is 43rd. Boosters of such a “city-county merger” here persist in ignoring that “the city” and “the county” in Ohio are two different governments with different authority, duties and responsibilities under state law. When all else fails, they resort to derogatory words and phrases like “horse and buggy government.” That is supposed to upset everyone because Ohio’s local government structures date back to the 1850s. By those standards we should toss out the Constitution and the Bill of Rights because they predate us by 60 or 70 years. Their dream is to take away the voters’ right to elect local officials and dilute the power of the ballot box. They know what is best for us, even if we don’t. Instead of trying to promote something in which we have no interest, no need and will not support, I suggest these folks might busy themselves on some projects which we might welcome. Here are a few suggestions: a full report on area nonprofits, how much they receive from government and how much they spend for administration; a review of how well local “economic development” efforts and taxpayer expenditures have worked out; and an investigation of property tax abatements handed out to commercial and residential properties by the city of Cincinnati, Hamilton County and other communities. Or they can continue to waste their time by trying to sell us bigger government and more of it. It should be an easy choice for smart people. What will it take to move local governments in the Cincinnati region to work more closely together? Not a blue-ribbon panel or another study. Since 1999, at least five such studies have documented how the entire Cincinnati region – including northern Kentucky and the counties surrounding Hamilton – are hurt by a lack of cooperation and collaboration. And today they all sit on a shelf, gathering dust as regional governments go it alone. Nor do governments themselves appear ready to take on the issue of regional cooperation. The risks are many, from partisan politics to the wrath of public employees, and the rewards are few. As a region, we need one of two things to move this issue forward: either a few influential members of the business community must decide to make regional collaboration a top priority and put their weight behind the effort; or a political leader with the conviction and skills of former Louisville mayor Jerry Abramson must emerge to convince residents of the benefits of collaboration. Greater regional cooperation can take many forms, from sharing services and employees to consolidating governments. While there’s a big difference between, say, linking with other governments to get a better deal on road salt and merging police departments, there’s historically been a reluctance in the region to pursue collaboration for fear it will lead to larger, less personalized governments. But in many of the regions we compete with for jobs and residents, the most successful solutions are regional in nature and can only be pursued by broad coalitions rather than competing fiefdoms. 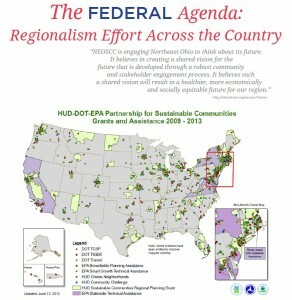 Some leaders point out that regional initiatives are on the rise. REDI Cincinnati is charged with leading economic development throughout the three-state, 15-county region, although some in Kentucky and Indiana grumble that, as an arm of JobsOhio, REDI is focused on luring companies to Ohio. Spurred on by cuts to Ohio’s Local Government Fund, some political leaders are looking for ways to share costs and services, and places like the Center for Local Government are helping them identify opportunities. Agenda 360 and Vision 2015, organizations that are sponsored by chambers of commerce in Ohio and Kentucky, identify regional priorities and bring together leaders from across the metro area to look for ways to solve common problems. But the challenges posed by a fractious region are greater than any of the attempts to solve them so far. In the four closest counties of Ohio there are 130 cities, villages and townships, along with dozens of school and fire districts; Hamilton County alone has 49 separate political jurisdictions. In the Northern Kentucky counties of Boone, Campbell and Kenton there are 33 separate governments, and nearly twice that if you expand the boundaries to include counties like Pendleton, Grant and Owen. Each of those governments has some sort of elected or appointed staff, and its own rules and regulations. Most have police and fire departments, some located just a few blocks from the neighboring town’s forces. The duplication of services costs money, at a time when many cities and some counties are having trouble paying bills. But there are other disadvantages. Cities and townships fight each other for jobs and residents and make plans that are unconnected to or even at odds with what their neighbors a mile away are doing. Politically fractured regions can contribute to social separation and inequality, as residents perceive they can “move away” from problems rather than contributing to their solution. Most importantly, the region loses out on the competitive advantage of having everyone rowing in the same direction. • True cooperation would involve communities in three states, which involves different funding formulas, laws and state priorities. • Municipal employees and their unions rightly fear a loss of jobs if governments share more services. • Political parties would lose their lock on specific offices if government consolidation or a combined city-county government emerged. Democrats now dominate the city of Cincinnati and Republicans control outlying suburbs and townships; any mergers would appear more purple than red or blue. • African-Americans would also likely suffer politically if cooperation led to consolidation. They now constitute about 50 percent of Cincinnati’s population and would fall significantly if a model like Louisville’s or Indianapolis’ developed. • High-income communities and gentrifying urban neighborhoods are both reluctant about steps toward merging with communities where poverty is on the rise. A decade or more ago, suburbs touted the fact that they offered a place unencumbered by the problems in Cincinnati. Now, as the urban core strengthens, some in the city are wary of taking on destabilized communities as their fortunes are rising. 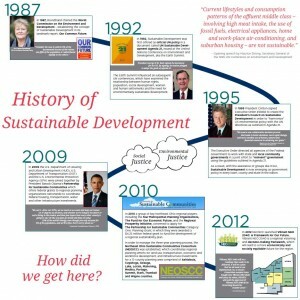 • The failures of past efforts have led leaders reluctant to begin working on the issue again. The Cincinnatus study identifies models from other cities that have moved toward greater collaboration, from the Efficient Government Network in northeast Ohio, where Cuyahoga and Summit counties saved money by switching to a county executive form of government; to Louisville, where the city merged in 2003 with Jefferson County and moved from the 65th largest city in the country to the 16th. The task force was particularly interested in a St. Louis effort called Better Together, where business and community leaders are funding a $1.2 million effort to research the benefits of collaboration and educate voters. The local task force would like to launch a similar effort here, and there other encouraging signs. Mayor John Cranley and Hamilton County Commissioner Todd Portune last month proposed a city-county shared services task force. The mayors of 19 Kenton County governments meet monthly as a forum and have streamlined 911 services, among other successes. But absent a political leader willing to take on the issue, or a small group of determind business leaders, the only other catalyst could be a crisis big enough to spur governments to action. Otherwise, as the task force finds, “things will stay the same. That’s not OK – especially in today’s fast-paced world. Long-term, we will pay the price for not acting now.” Is anyone willing to convince residents of this region that we can, and must, do better? This entry was posted in News on January 10, 2015 by alex. Congratulations to Skip Claypool on his win in the Geauga County Commissioner GOP Primary. Skip defeated the current chair of NOACA, PD-endorsed, and a supporter of the NEOSCC. Kim Laurie also deserves congratulations on winning in her GOP Commissioner Primary in Lake County, again against the PD and established public officials. 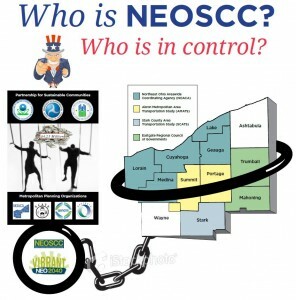 Although this site is non-partisan, any candidate, regardless of party, that takes a stand against the NEOSCC deserves our strong consideration if not support. There is still the matter of winning in November, but the fact remains that both Skip and Kim ran against the NEOSCC’s ideas and won. Regionalism is not a “fringe issue.” In Lake and Geauga, with undeveloped land and a healthy tax base ripe for “sharing,” this is critical. Regardless of where you live, taking two central counties out the plan is huge. We need people like Kim and Skip that can turn this movement back at the county level. 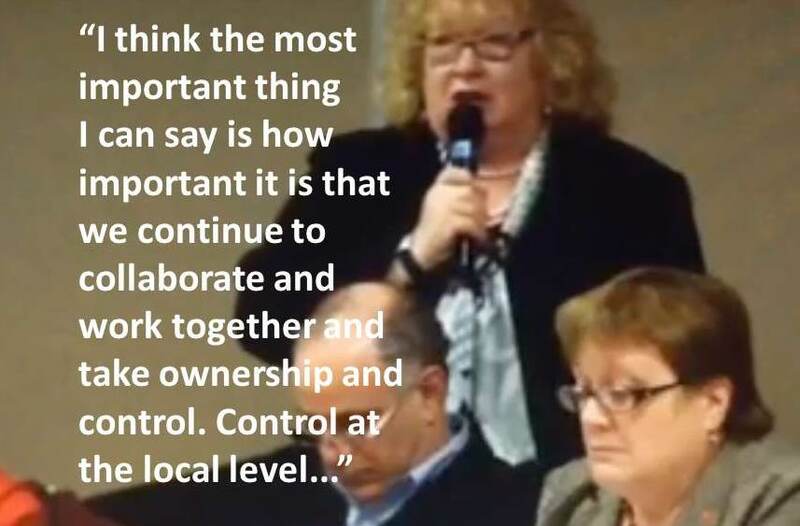 Lucy Miller of HUD said it best, although she was talking about HUD and NEOSCC. 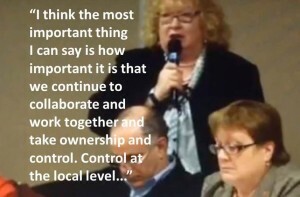 “The most important thing is..to take control at the local level. ” Last night we took our first steps in that direction. This entry was posted in News on May 7, 2014 by alex. Cuyahoga County residents will vote on an extension of the “sin tax” on May 6. If you live in Cuyahoga County and are AGAINST creeping regional powers, you should vote FOR THE TAX. It’s important to note that such “regional” taxes don’t exist in Ohio, and it would take an act of the Ohio Legislature to create one. We have local taxes, county taxes, and state and federal taxes, in addition to Park Districts and School Districts. Now they want to create another level of taxes, using the our support of pro sports as leverage to drum up support. Once this first new regional tax is created, the nose is in the camel’s tent. They can use it to fund any number of regional initiatives, all under the pretense of “helping the region.” The heavily populated urban centers would outvote the suburbs and less populated counties. 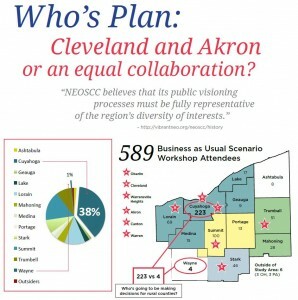 A pro-sports supporting new “regional tax” mechanism is their best hope for regional funding of NEOSCC plans. Don’t let it come to pass! 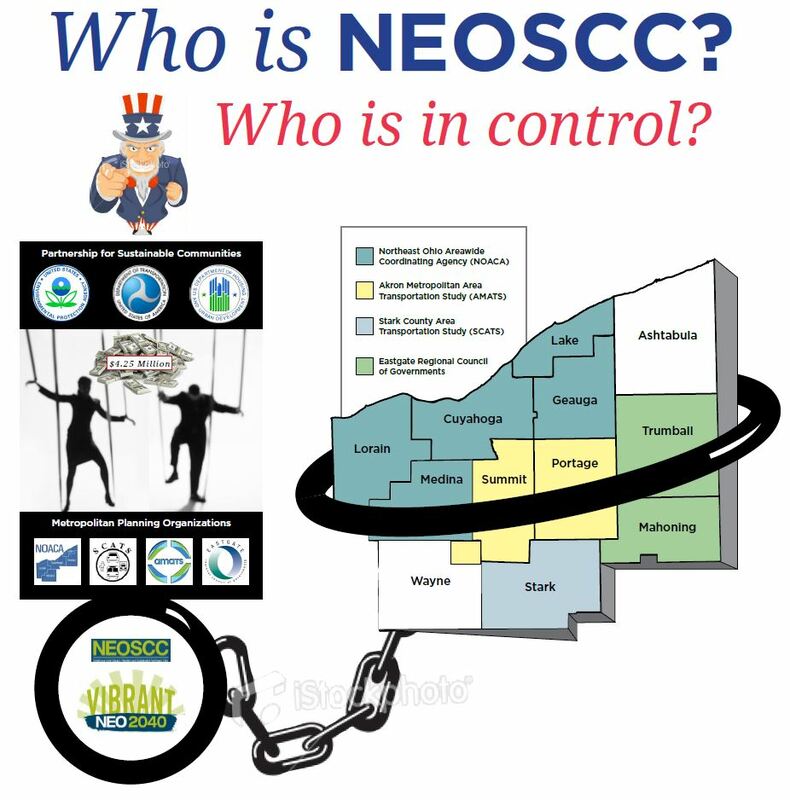 If you live in Cuyahoga County, vote “yes” for the sin tax and pass this along to all of those against regionalism via the NEOSCC. Spare yourselves and all of us the possibility of a new class of regional taxes. This entry was posted in News on April 26, 2014 by alex.